Like most people, this year I intend to make good on my New Year’s resolution. 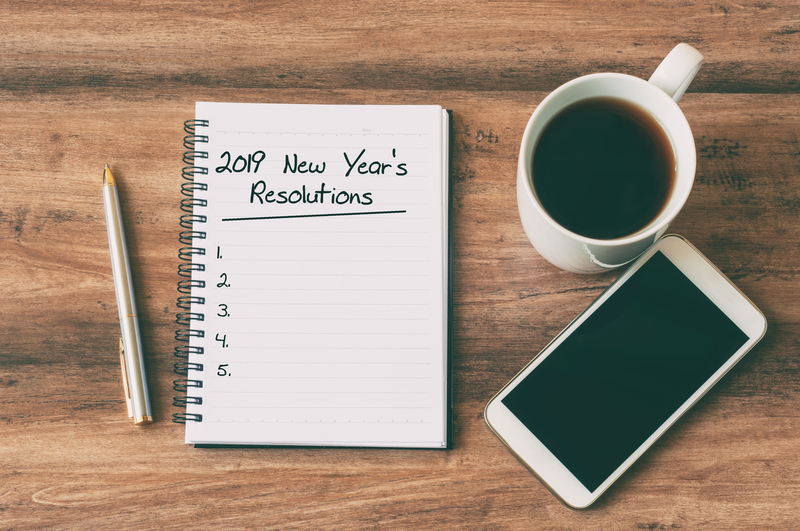 It’s actually more of a life resolution than it is a New Year’s resolution in much the same way that salespeople should make theirs a career resolution. If it’s important enough then it shouldn't be for only one year. I’ve compiled a list of resolutions that all salespeople should make and follow. Some will likely surprise you but they are all necessary to become more successful. Enjoy the 10 most important elements for New Year's Resolutions That All Salespeople Must Make. Here we go! Stretch. Everyone begins the year with goals but they tend to be goals that will either be easy to reach or impossible. A stretch goal is important but it can’t be some random number. Sell this much, sell this many, earn this much, or pay this debt won’t work. The goal must be for something special, important, exciting, and compelling that the numbers will help you achieve. Believe. Your stretch goal doesn’t become real until you believe in it. Think back to when you were younger and obsessed about that bike, game console, go-kart, dress, date, musical instrument, sports win, computer or toy. You never stopped hoping and wishing and believing and you can't stop believing now. Commit. Now that you have identified something exciting and believe that it can be accomplished, you must commit to it. Whatever it takes. In this typical scenario, 26 opportunities must be in the pipeline at all times in order to sell one in a week, month, quarter or year or whatever your x per y is. x is the number you must sell and y is the time frame, like 4 per month. Multiply the numbers above by x. Discipline. When you are fully committed to your mission, you will be disciplined. It means that you will perform the required activities even when you don't want to. Back in the 1950's, insurance executive Albert Gray said something along the lines of, "The difference between successful salesmen [note - this was his wording circa 1950] and everyone else is that the successful salesmen will always do what they don't want to do while everyone else doesn't." Discipline also means no distractions. Identify what can and does distract you and swear off of it during the work day. Period. Exceptions. This is the hidden key. Make no exceptions. While my resolution in 2019 is to eliminate flour and sugar from my diet, I know that if I make just one exception I've blown the day. If I blow the day, I'll rationalize that I might as well blow the week too. And a blown week becomes a month blown and the plan fails. Make. No. Exceptions. Improvement. Commit to self-development and a goal of becoming just 10% better at every aspect of selling. Check out this article to see how a 10% improvement in effectiveness leads to a 33% increase in revenue. Trust the process. Sales process is crucial to success. Once you have a customized, formal, staged, milestone-centric sales process, trust it. If the process works and has a built-in custom scorecard, trust it. It won't steer you wrong. Review this article on customized scorecards. Watch the video in this article to better understand what an ideal sales process looks like. There you have it. My surefire 10-step resolution to make your new year your best year. What Happens When You Force a Square Sales Peg into a Round Sales Hole? 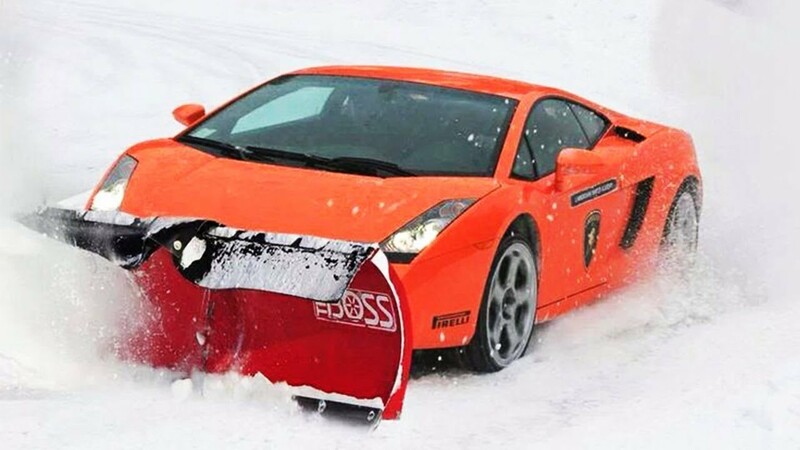 Can you imagine attaching a snow plow to a Lamborghini and hiring yourself out to clear parking lots? Back in April I wrote about our new puppy. Now he's 1-year old and has grown to 60 pounds, but could you imagine putting a saddle on him and selling rides on the beach? Could you imagine if the US arsenal of nuclear weapons consisted of putting 1,000's of firecrackers into a plastic cylinder and then saying to North Korea, "try us!" These are all examples of trying to put a square peg into a round hole - things you just don't do. And that's how I felt when I received an email asking how to deal with the following sales challenge. The reader asked me to write an article explaining how to improve the sales effectiveness of their mostly altruistically motivated salespeople. Most salespeople are either extrinsically motivated or intrinsically motivated. I explained the science behind the different types of sales motivation in this must read article where I shared some awesome statistics that showed how motivation correlates perfectly with performance. If you read the definition of altruistic you will understand why altruistics comprise only 7% of all salespeople. 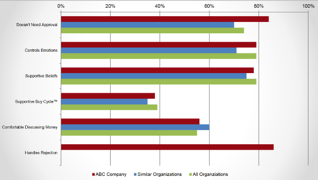 I dug into Objective Management Group's (OMG) data and found some interesting facts. OMG has evaluated or assessed 1831605 salespeople and sales managers and while the altruistic finding has been measured for only a year, we still have nearly 100,000 rows of data that include that finding. OMG measures 21 Sales Core Competencies and 6 of them are in the category of Sales DNA, the combination of strengths that support the execution of sales process, sales strategy, and sales tactics. Altruistics have an average Sales DNA of just 61 and that's well below the low end of the scale. For instance, a sales role with zero difficulty requires a minimum sales DNA of 64 while the most difficult sales roles require Sales DNA of 82 or better! Under 115 is weak and 43% fall into this group. All, as in every.single.one of the altruistic salespeople are extremely weak, with Sales Quotients averaging under 100. 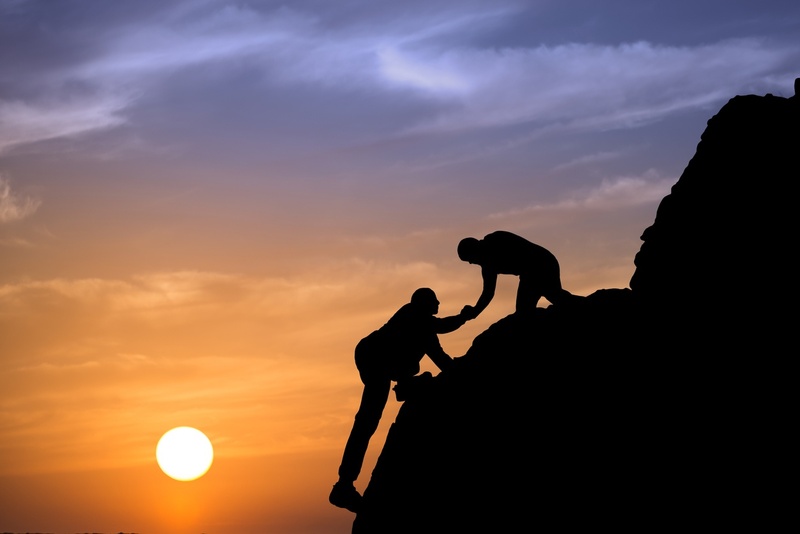 45% of those who are altruistic also lack the commitment necessary to achieve sales success. One of the minor findings in the OMG Sales Assessment is Enjoys Selling. Most people who are in sales score fairly high on this scale but Altruistics score quite low because they don’t enjoy selling. If you forget for a moment that they are altruistic, and see how weak they are as salespeople, a role they don’t enjoy, I’m sure you will agree that they would be extremely difficult to train and coach. Then, add to that challenge that they are altruistic, and you have a scenario where it becomes nearly impossible to train them to be more effective at selling given the embedded self-limiting beliefs, fears and motivation. Altruistics are perfect for customer service! Coming full circle here, an Altruistically motivated person in sales is a square peg in a round hole. What was your reaction when you saw that the water in Tampa Bay was sucked away by Hurricane Irma? 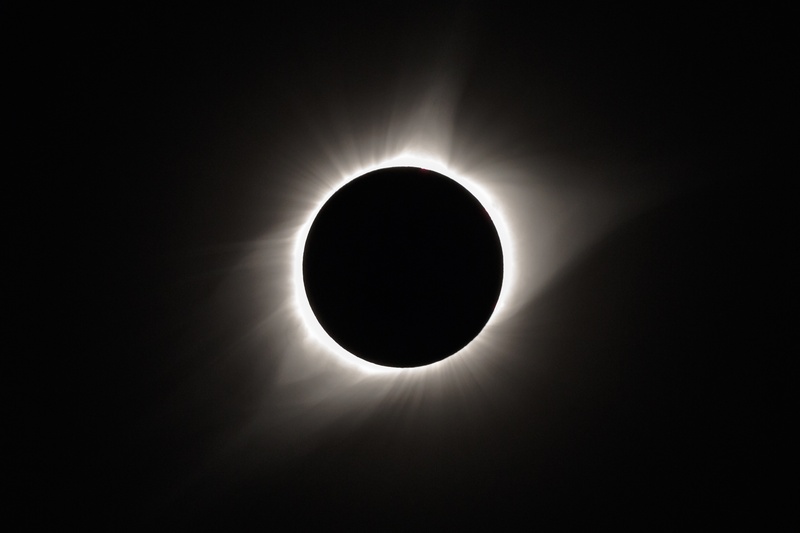 How about when you saw the total eclipse? Or the Cajun Army rescuing thousands in Houston? Now, I don't want to equate my news with the enormity of Hurricane Harvey or Hurricane Irma, but when I first saw the data, my reaction was exactly the same. I said, "Wow - didn't see that coming." This summer, Objective Management Group (OMG) added and began testing for Altruistic Motivation as one of 3 types of Sales Motivation. Sales Motivation is one of the 21 Sales Core Competencies OMG measures. OMG had been measuring Extrinsic and Intrinsic Motivation in its Sales Force Evaluations and Sales Candidate Assessments and it recently updated its algorithm for measuring total sales motivation. You can read more about that here. Today I was able to look at the 7,500 new rows of data accumulated since this update went live about 8 weeks ago and the data exceeded my expectations. Take a look at this! In the table below, you'll see that extrinsic motivation is most prevalent in the top group of salespeople while altruistic motivation is most prevalent in the lowest group of salespeople. You'll also see the correlation between overall sales motivation and performance. With this data correlating so perfectly, the most important question to ask is, what does it mean? Recently there have been several articles that suggest we should eliminate commission salespeople and begin paying everyone a salary. That would REALLY appeal to the bottom 10% with 73% of them being either intrinsic or altruistic. The majority of the bottom 10%, especially the 35% who are altruistically motivated, should be in customer service. Customer service doesn't pay as well but that is the role in which they could become top performers by being of service to others. What do you suppose would happen to the performance of the top 23% when they are faced with being paid the exact same amount as their under performing colleagues? Say goodbye to their quota crashing performance! Looking forward, our biggest challenge is that most millennials tend to be intrinsically motivated. Read this terrific article and look at the data comparing millennials to top salespeople. While overall motivation is nearly identical in all four groups, millennials have an average Sales Quotient of just 108. You can see in the table above that a score of 108 puts them in the category of weak salespeople where the overwhelming majority of that are intrinsically motivated. It's not a stretch to draw the conclusion that the majority of salespeople in the weak category could be millennials. The best way to incentivize salespeople will continue to be an ongoing topic of discussion. Those who think that a prospect's interests are best served when salespeople are not on commission are misguided. The reality is that the top two groups of salespeople don't act in a way that makes prospects feel like they are being sold something. People buy from them because they build relationships, are consultative, listen and ask great questions, and understand the problems that need to be solved. Weaker salespeople are transactional, rely on presentations and demos, and appear to be more interested in making a sale than solving a problem. Most of the experts who weigh in on this matter have it backwards. Like all of the inbound writers who several years ago predicted that sales was dead and inbound was king, these suggestions are nothing more than fake news. Salespeople who are intrinsically motivated would prefer to be compensated with a salary and perhaps a bonus for performance while extrinsically motivated salespeople would prefer the plan that offered the sky as the limit. The biggest change for companies is the need to understand how to motivate intrinsics. Traditional sales motivators like commissions, competition, contests, and awards do not motivate intrinsics. They want to be part of something bigger than themselves, would like to change the world, want to achieve mastery, sell because they love it, and do it for personal satisfaction. How can you motivate them and more specifically, how can you motivate them to become better as a group than their current state of weak? We've been very busy implementing some new findings in our Sales Evaluations and Sales Candidate Assessments. Sales Motivation is just one of the 21 Sales Core Competencies that we measure, but as with all of the competencies, we go very deep. The remaining 15% are somewhat balanced between 2 or 3 of the styles. I always believed that Motivation is Motivation. In other words, as long as the motivation is strong, it doesn't matter whether salespeople are extrinsically or intrinsically motivated. However, it is very important for sales managers to understand the difference between the two so that they can provide the proper type of external motivation. And now, with the introduction of Altruistic Motivation we have thrown a monkey wrench into the mix. Altruistically motivated people should not really be in sales. Their most effective role would be in customer service where it would be important for them to not have their own agenda but instead, serve the customer without exception. Think Hospital, Doctor's office, upscale Restaurant, Concierge, Front Desk at a high-end hotel, etc. 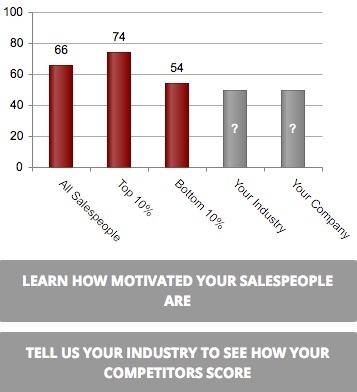 I don't have the data yet but I expect salespeople who are altruistically motivated to have low scores for Commitment to Sales Success and Desire for Sales Success. I'll update you when the data is available. While much about selling has changed in the past 10 years, most of the science behind sales excellence has not changed at all. While there have been a few changes to the 21 Sales Core Competencies, most of them have remained the same as well. Most of the average scores in those 21 Sales Core Competencies, as well as the percentage of salespeople with gaps in those Core Competencies, don't change much either. However, Sales Motivation is one competency where the changes have been dramatic over a very short period of time and today I want to share those changes, as well as how the changes impact salespeople, sales leaders and sales organizations. Definitions - Let's clarify the difference between Desire for Success in Sales and Sales Motivation. Desire is how badly a salesperson wants to achieve greater success in sales. Motivation is the "what" behind that Desire. What is driving that Desire? Desire and Motivation are part of a triad of sorts, with the third, and most important piece being Commitment to achieve greater success in sales. It doesn't matter how strong the Desire is if the Commitment isn't there. And it's with that triad where some of the changes are occurring. Many companies are hiring recent college graduates to fill inbound and outbound lead generation roles or, in other words, appointment setting roles. Many of these kids haven't chosen sales and they tend to score low on both Desire and Commitment. And that's where Motivation comes in. At least there's that. But there have been dramatic changes with Motivation. 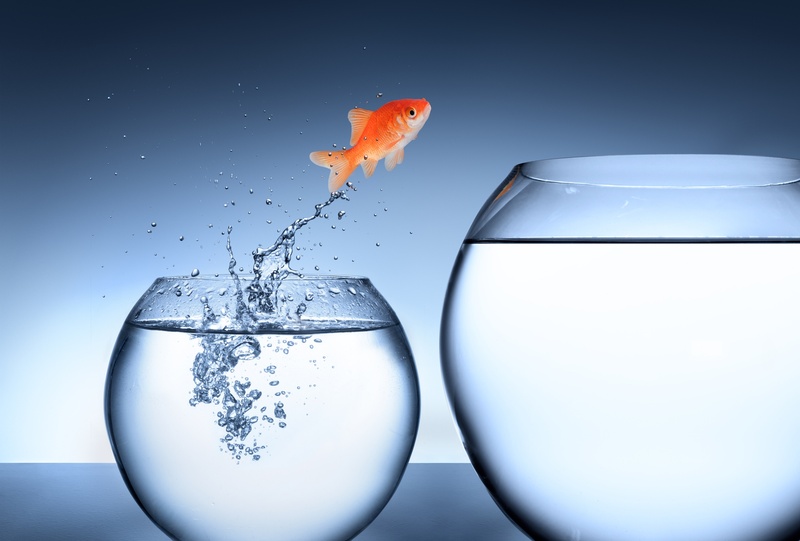 Changes - During the time that Objective Management Group (OMG) has been measuring both intrinsic and extrinsic motivation in salespeople, we have seen a tremendous shift over a relatively short number of years. For example, in 2007, 54% of the sales population was extrinsically motivated. Four years later, in April of 2011, I reported that 50% fewer salespeople were money (extrinsically) motivated, bringing the percentage to just 27%. Fast forward another 6 years to April of 2017 and when we look at the most recent 350,000 salespeople to have been assessed, the percentage is down an additional 70% to just 8%! Would you like to see the data and the average scores in all 21 Sales Core Competencies? You can! Our brand new site shows you the average scores for all salespeople, the top 10%, the bottom 10%, salespeople in your industry, and salespeople at your company. The scores are very interesting! See OMG's data here. Impact on Companies - Most compensation plans are designed to provide incentives to salespeople that are motivated to earn commissions. But if most salespeople are now intrinsically motivated, then most compensation plans don't work the way in which they were intended. There are exceptions but generally speaking, most companies must get some help from sales experts who understand the new trend, understand accounting, and have the ability to help you develop a new plan. Impact on Sales Leaders - Most sales leaders have learned to motivate using the carrot - read commission - but that's not really in play to the same degree as it once was. Intrinsically motivated salespeople respond to coaching. Yesterday I wrote about how great sales coaching lets you off the hook on motivation, accountability and recruiting! Intrinsically motivated salespeople also want to master their craft, love what they do, and be part of something bigger than themselves. Sales Leaders must learn to become great sales coaches and motivate in all new ways. OMG measures 7 additional ways in which salespeople are motivated, including whether they love to win or hate to lose, spend to perform or perform to reward, want recognition or self-satisfaction, want to be closely managed or self-manage, want to be pressured or apply self-pressure, have something to prove to others or to themselves, and whether they prefer competition with others or to compete with themselves. Impact on Salespeople - Surprisingly, these changes have little impact on salespeople as long as they have strong sales motivation. It doesn't really matter whether they are intrinsically, extrinsically or even altruistically motivated, as long as the motivation is there. However, if sales leaders aren't motivating them accordingly, and companies don't modify their comp plans accordingly, then the impact on salespeople can be quite negative and limiting. And you wonder why there is so much turnover in sales! How to Eliminate the Need for Sales Motivation, Accountability and More! Sales Management is challenging. With coaching accounting for 50% of the role, it doesn't leave much time for anything else. Yet pipeline management, along with the ability to motivate, recruit and hold salespeople accountable are also required. For many sales managers, those four activities simply aren't much fun. But what if I told you there was a way to completely eliminate the need to manage the pipeline, motivate, recruit and hold salespeople accountable? There is and I'm going to share it with you! When 100% of your sales force is comprised of salespeople from the top 23% of the sales population, you won't have to motivate them because they are all self-motivated. You won't have to hold them accountable either because they'll hold themselves to a higher standard than you would. And because they will all perform, they will meet and exceed quota, goals and expectations so they won't need to be replaced. That means you won't have to spend any time recruiting. So how do you develop a sales force made up of only the top 23 percent? Coaching. Very easy for me to say but siginificantly more difficult to execute. 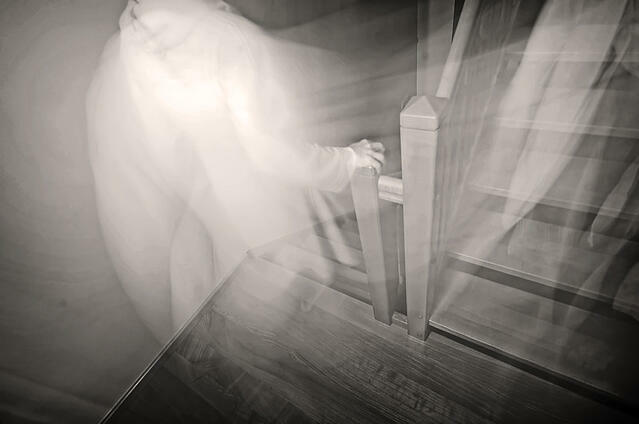 In this article I wrote about why sales coaching is so scary. In this article I discussed why sales coaching is so difficult. And this article explains why great salespeople struggle with becoming great sales managers. Please read read those three articles. Done? Then you probably know how you compare in the area of being able to utilize role-playing as a primary means to effective coaching salespeople. Fewer than 10% of sales leaders can do this effectively. Last week I received a call from a young, motivated salesperson - we'll call him Jim - who desperately wanted to be one of the elite 7% of all salespeople. Despite being just 26 years old, he believed that he was already in the top 7%. During our call, he asked me a great question. He asked, "How many of the top 7% have you actually met and where are they today?" I didn't have to think very long or hard to answer that question because it was one of the easiest questions I have ever been asked. Most companies have mediocre salespeople and a small percentage - less than 10% - are strong. But there is an exception. Many of the greatest salespeople, following a necessary stint in sales leadership, become sales consultants. Now you are probably familiar with the sales consultants who have best-selling books or who tweet and blog on social media. But they aren't the only sales consultants and trainers by a long shot. There are thousands more and some of them are really good at what they do. 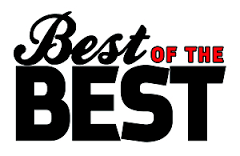 The best and brightest of them partner with my company, Objective Management Group (OMG), and provide our award winning sales candidate assessments and sales force evaluations to their clients. Without a doubt, the nearly 300 individuals that represent OMG around the world, are the single biggest collection of the top 7% anywhere. And each year, when around 150 of them gather for our international sales experts conference, that is where you will find the single biggest gathering of elite salespeople. Why did Jim ask how many of these top performers I had met? Because to him, the top 7% are the celebrities of sales. It's like asking someone if they have met any professional athletes, movie or TV stars, or Presidents. He has the top 7% on a pedestal because he wants to be one. The bigger question for me is why Jim? Why aren't the other 93% of the sales population calling, writing and asking how they can become part of the top 7%? Why isn't it more important to them? Part of the answer should be so, so obvious. If it was more important to them they would already be part of the top 7%, certainly part of the next 16% and not one of the bottom 77%! Much of this problem boils down to Commitment to success in sales. 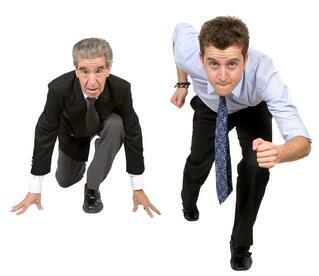 All salespeople score, on average, only 59% for Commitment. The top 7% (Sales Quotient over 139) average, 72%. Serviceable salespeople (Sales Quotient between 115-129) 60% - or borderline Commitment. Notice that the biggest drop-off (from 60% to 45%) occurs when you drop from serviceable to weak. If I had to guess, Jim's commitment is consistent with the elite group. And while the top group has the highest overall scores for Commitment, it doesn't necessarily hold true that if a salesperson has a high commitment score that they are or will become part of that group. Commitment is only 1 of 250 data points and while it is the most important, it is only 1. For example, a salesperson with strong commitment, but a low score for Desire for success in sales, Motivation, Excuse Making, or even Coachable, is less likely to make it to the top group. OMG measures 21 Sales Core Competenceis and while I have mentioned 4 in this article, there are 17 others that will also have a great impact on whether a salesperson can make it to the top. While 10 of those competenices are Tactical Selling competencies, 6 of them represent Sales DNA. The top 7% have Sales DNA greater than 82% while weak Salespeople score 60% and the bottom 10% only 54%. Sales DNA is a huge contributor to sales success and the lower the score on Commitment, the less likely it is that one could overcome a low Sales DNA. Of course, when it comes to hiring salespeople, there is only one tool that can accurately predict whether you have an elite candidate, a strong candidate, or one of the others. And if you were an elite salesperson, have put in your time in sales leadership, and are ready to bring OMG's great tools to your clients, you can learn more here. I hate this article already - the last thing we need is another article to help us to understand Millennials. Except for one thing. Most of you reading this are Millennials and you probably need to better understand boomers. We've all heard many of the distinctions of Millennials - how they like to work, where they like to work, when they like to work, how little they like to work, how entitled they are, how money isn't that important, how they want to change the world and be a part of something bigger than themselves. So I'm not going to write about any of that in this article. Instead, I'm going to talk about several tendencies that differentiate these two generations of salespeople. We can begin with Motivation. Boomer salespeople are generally extrinsically motivated - motivated by money and things - while Millennials are typically intrinsically motivated. They would prefer to love what they do and strive for mastery. Here is more on the difference between these two types of motivation in sales. We can talk about New Business Development too. Boomers are much more likely to pick up the phone and make a call - even a cold call - to initiate contact and follow up and they prefer to meet face-to-face. Millennials are more likely to use their social networks - LinkedIn, Twitter, Text and Facebook - to initiate contact - and email to follow-up and they tend to prefer selling by phone. The two newest selling roles - SDR's and BDR's - are both top-of-the-funnel roles where the reps simply schedule meetings and calls for account executives. These roles are filled almost exclusively by Millennials. I hear you. "But they are on the phone and you said they don't like using the phone!" Exactly. And that explains why they are so bad at it. The latest statistics from ConnectAndSell tell us that these reps book, on average, 1.5 meetings per week. If that is the only thing they are required to do, shouldn't the number be more like 2-3 meetings per day? And speaking of Selling Skills, Boomers are far more likely to have professional selling skills while Millennials are more likely to frame selling in the context of demos, proposals and follow-up. It might not be their fault, as most of them are in the aforementioned top-of-the-funnel roles, while Boomers are almost always found in outside territory, major account, vertical or account management roles. One of the new things that Objective Management Group (OMG) introduced last month is industry statistics where the results of a company's sales force evaluation are compared against other companies in their industry. Here's an image from a slide that looks at the average scores for salespeople in 6 major strands of Sales DNA and how this sales force (burgundy) compares to similar companies (blue) as well as all companies (green). Regular readers know that OMG has evaluated salespeople from companies. I am hoping that in the coming months, we can filter our data by generation and share the differences in the 21 Sales Core Competencies that we measure. My family lives west of Boston where it is not uncommon for us to see lots of squirrels, chipmunks, rabbits, deer, the family of foxes that live on our property, and on most nights, we hear coyotes. We usually hear them in the early morning hours, and always thought they were celebrating a kill. Recently, I did some research and learned that this is how coyotes greet each other when they are assembling before going out to hunt - before the kill! 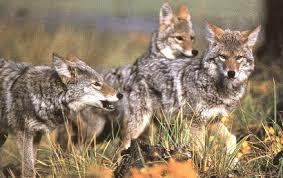 For those of you who don't live in or alongside a forest, a group of wild coyotes usually looks and sounds just like in this 1-minute video that I found on YouTube. That got me thinking about the connection to sales motivation and more. Not too many decades ago, sales teams were very local and met weekly and sometimes daily as a group. The purpose of a typical meeting was to share information and motivate the troops. Most meetings ended with a motivational cheer - similar to what you might expect from a modern-day pep rally! It got me thinking that pep rallies, coyote gatherings and sales meetings are all very primal and we, as people, need the rallying. It provides external motivation and while that tends to be short-lived, it improves confidence, gets everyone focused and aligned, and creates a sense of urgency. Most sales teams don't meet as frequently anymore and while adults are capable of performing without the pom-poms and cheers, providing some external motivation certainly doesn't hurt. It builds team and spirit. That's why, in lieu of being able to gather and meet each week, daily huddles can fill the gap. They aren't designed to motivate as much as they are to align, develop a laser focus, report on KPI's, uncover coaching opportunities and hold the team accountable. When the team does come together, there should be at least one motivational moment - in the form of an awards ceremony, a keynote motivational talk or an event that gets everyone excited. Today, there are three ways that people are motivated to perform on a day-to-day basis. I've written about extrinsic and intrinsic motivation, and we still need to consider a third, altruistic type of motivation. I believe that the third group is represented by a very small minority in sales, but as Objective Management Group (OMG) begins to measure and analyze the presence of the third group, I'll bring that science to the discussion. 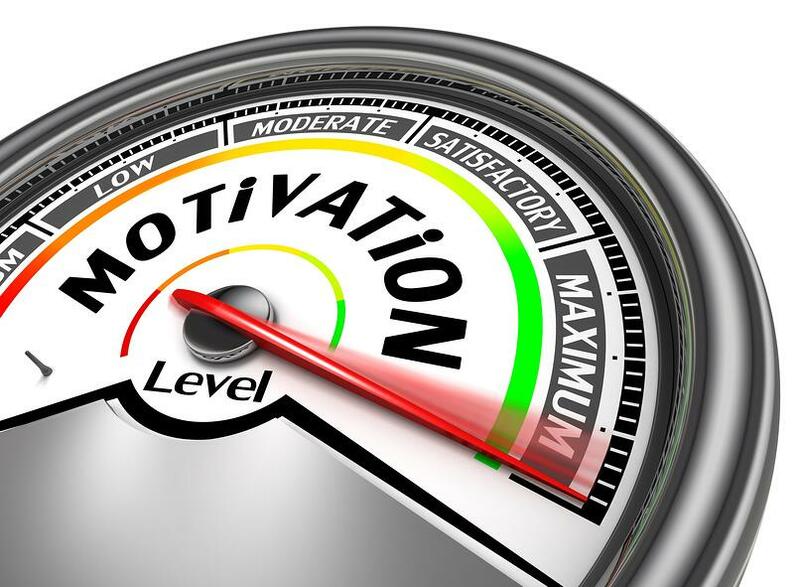 As far as intrinsic motivation goes, OMG measures 7 additional ways that salespeople are motivated. Today I will explore the least-read articles I have ever written. That's right. The least read. It's very fashionable - and a best practice - to continue promoting the most-read, most-liked, most-favorited, most-shared, most-tweeted and most-commented articles; but I don't think anyone has gathered up their worst work and said, "Look at this!" It's actually not my worst writing. It's all every bit as good, and in some cases, better than my best articles. Sometimes crappy articles spread like wildfire and the good stuff comes out on a day when people aren't paying attention. So here are the 10 best articles I ever wrote that hardly anyone noticed.